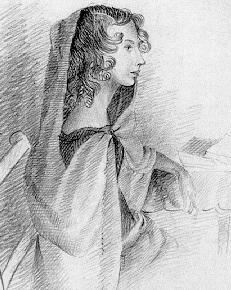 Anne Brontë (/ˈbrɒnti/; 17 January 1820 – 28 May 1849) was a British novelist and poet, the youngest member of the Brontë literary family.The daughter of a poor Irish clergyman in the Church of England, Anne Brontë lived most of her life with her family at the parish of Haworth on the Yorkshire moors. For a couple of years she went to a boarding school. At the age of 19 she left Haworth and worked as a governess between 1839 and 1845.